When you enter a business you don’t pay much attention to the sign above the doorway or on the building; or so you think. In truth, signs often have a major effect on the decisions we make during the day. 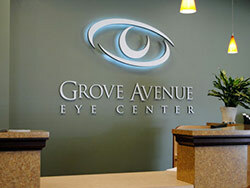 This is why illuminated lightbox signs can be a valuable part of your marketing. Let’s look closer at the subtle effect of this type of advertising and how it can help your business. Dave’s Signs has created some fantastic signage for businesses. Many consider them to be works of art. However, not all signage has to be artistic, nor does it need to “wow” the customer to be art. Take the signage we did for Arco AM/PM service stations. The sign is there to tell you what the current fuel prices are. On the surface, this sign informs you of everything you need to know, 24 hours day and 7 days a week. But there is more to it. At first glance. illuminated lightbox signs may appear plain and simple, but a great deal of work goes into their design and construction. In fact, these signs are specifically designed for subtle attraction. The sign blends perfectly into the background while dominating the scenery. When you drive up to the Arco station you notice this sign, but it doesn’t distract you from driving. This is no accident. This is a photo of the Core Power Yoga custom dimensional letter illuminated sign designed, fabricated and installed by Dave’s Signs. This Core Power Yoga is located in Thousand Oaks, CA. Cost effective advertising – thanks to modern LED lighting you enjoy energy efficiency and long life bulbs. Call Dave’s Signs today at (805) 641-1387, to see what we can do for you.